Let's build connections with our great community! Kids and Adults are invited to walk with our float in the Huntsville Santa Claus Parade! (All children must be accompanied by an adult) We'll be handing out candy canes and invitations to upcoming family events at Faith! 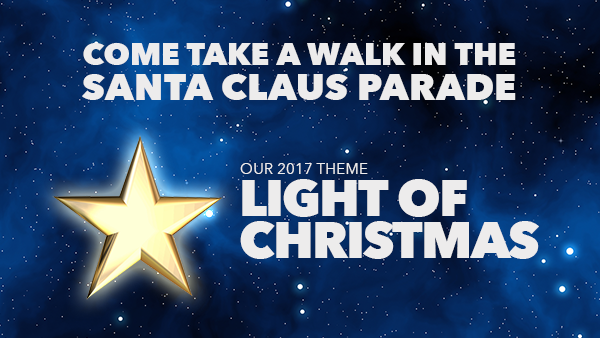 Our 2017 theme is "Light of Christmas" and will feature the song "Light of Christmas" by Owl City (feat. Toby Mac), 28 lit paper lanterns, and a giant star paper lantern! Thanks to the team that's been getting the float ready for this year's parade! Meet at float on Main St near Centre St. Park near Centre St. and walk west on Main St until you find our float! Dress for the weather. If you have a scarf from previous years, wear that! Parade finishes at Huntsville Place Mall. This is where all participants will need to be picked up. We'll be handing out candy canes and invitations letting our friends know about upcoming family events at Faith! Hope to see you there!